Coffee Stain and Bossa Studios have both separately developed reputations for affectionate reference and crossover, so it’s perhaps no surprise they’d wind up clinging to each other in the pastich-ether. 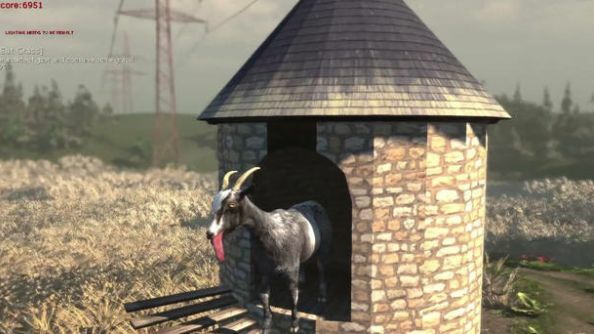 So it is that I Am Bread is gaining a RAMpage mode, and Goat Simulator a slice of bread for a protagonist. In the mood for offbeat nonsense? There’s plenty in our best indie games list. Who indeed. Both updates will be free soon on Steam, which as master of the surprise patch has proved the perfect platform for this sort of thing. There’s a trailer, which appears to have been very much a Photoshop job. How is it that a slice of bread wearing goggles so closely resembles a Minion? One of the great mysteries. Did you play Coffee Stain’s take-off of the survival genre, the grimly-named GoatZ? or the Team Fortress 2 I Am Bread level?